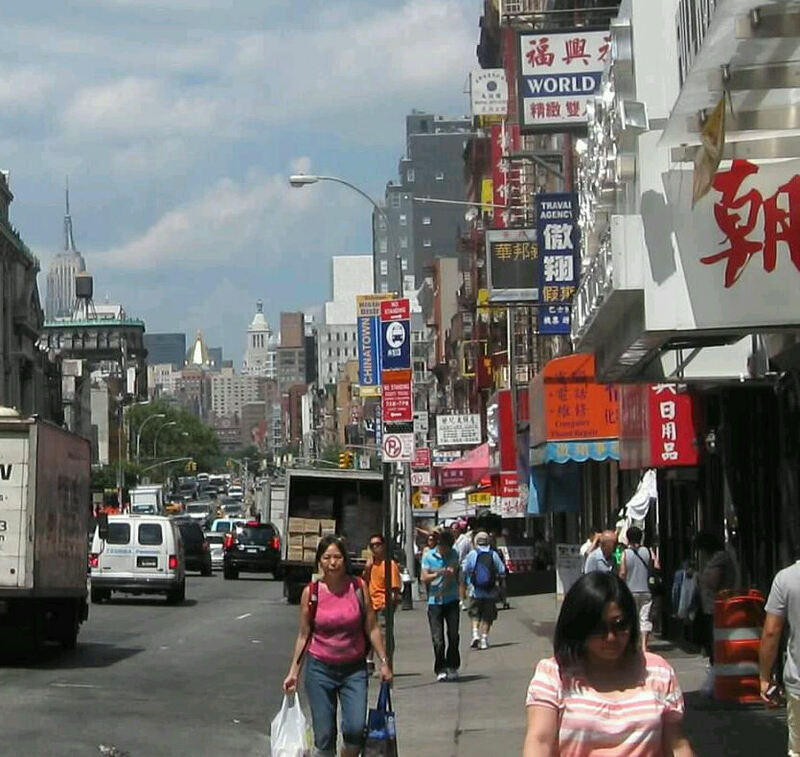 Our 2011 Road Trip #14: Chinatown! « Midlife Crisis Crossover! 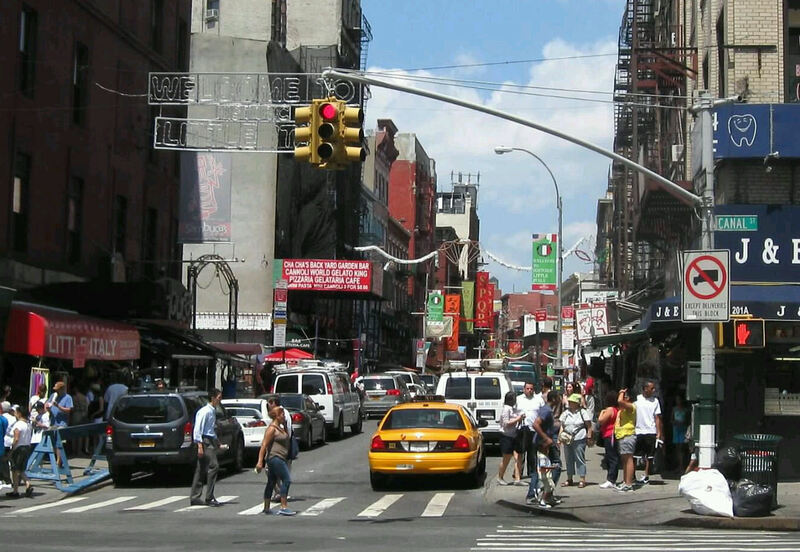 Our 2011 Road Trip #14: Chinatown! 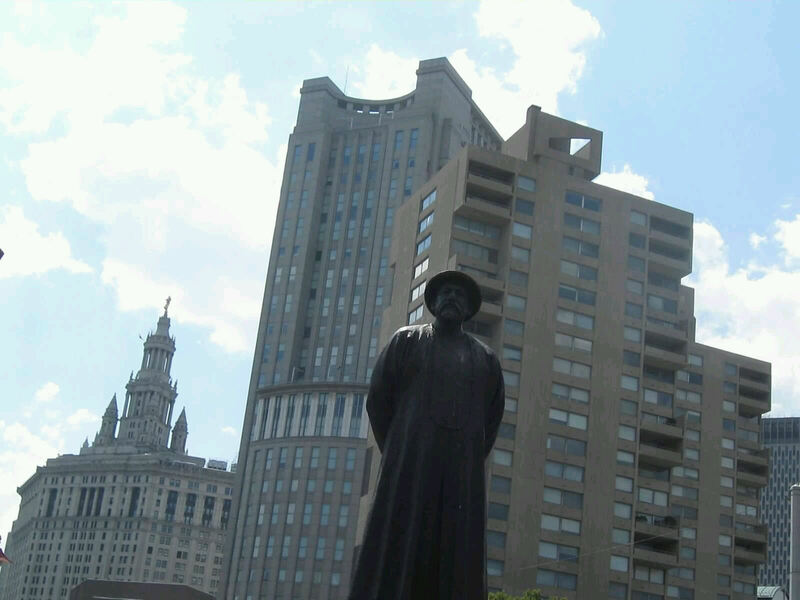 Lin Ze Xu welcomes you to the south end of Chinatown, but not your opium. His 19th-century version of the War on Drugs happened long before Nancy Reagan taught us all to just say no. Chinatown was like nothing we’d ever stepped into before — block after block of overpacked mom-‘n’-pop shops, restaurants with all-paper signage, dingy dives with no English names out front, and respectable businesses stacked atop businesses with even more businesses crammed under and between them, their streets teeming with life and bootleg lady-shopper bait (useless against my wife, who’s not into fashion shopping) and the worst smells we hope we’ll ever know, whether from the deadliest spices known to man or from all the endless displays of fresh-slaughtered seafood, some of it still writhing. My son wanted to see every single block of it, even the blocks ruled by Vietnamese or Thai shopkeepers instead of Chinese. We spent so much time just gawking and digging the vibe that we failed to take any decent establishing shots. 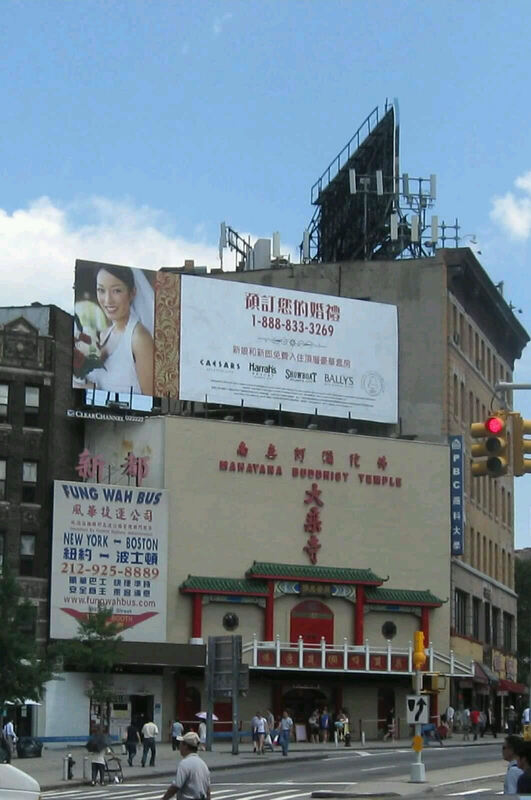 Far from representative is this random cross-section of Chinatown, one among the many. Note the Empire State Building sneaking into the background, dying for us to pay attention to it. Anne and my son tried to enter this Buddhist temple. A sign asking visitors to be “decently dressed” was enough to turn me and my shorts away. My intrepid family refused to let a petty dress code hinder their curiosity. They dared intrude as far as the foyer but were confounded and blocked at the inner door jamb by an elderly man, possibly a Buddhist pastor or whatever, who fixated his attention in the other direction as he reprimanded a second, younger, mopier guy with a whipped-puppy expression. Neither of them felt courageous enough to interrupt the stern lecture and ask for photo ops or tracts. I understand there’s a large Buddha statue inside. I imagine it’s really shiny. 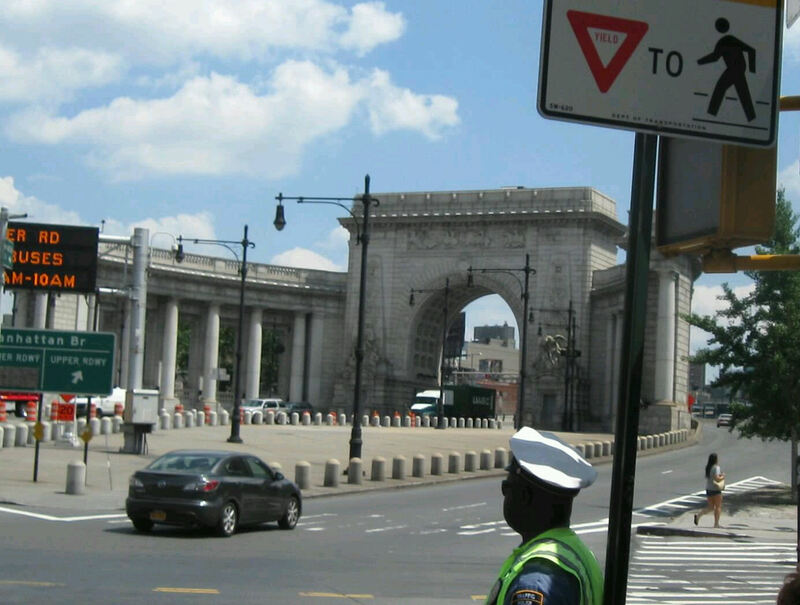 Across the street from the temple is the Manhattan Bridge Arch. This way lies Brooklyn, for the curious. The arch and colonnade date back to 1915, nearly as old as some of the Chinatown tenements. 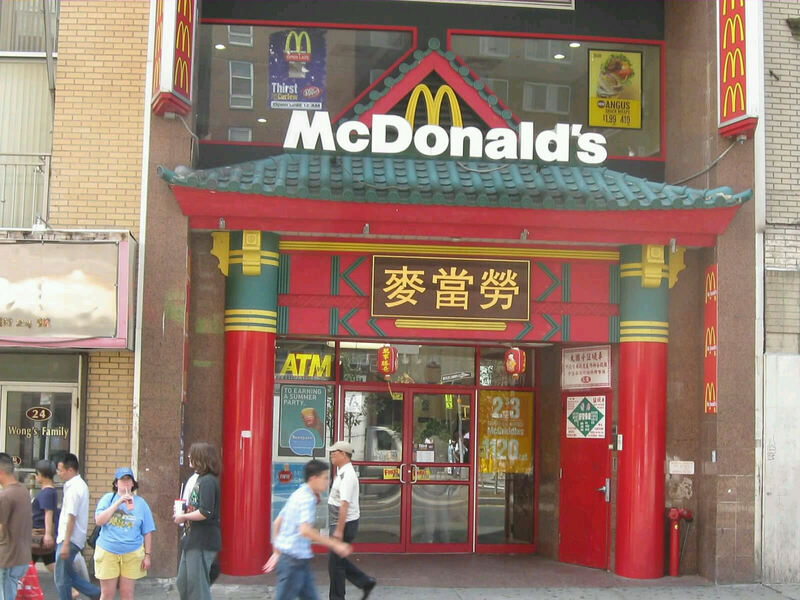 I like to think at least one of these signs translated as “I’m lovin’ it!” The Chinatown McDonald’s menu was otherwise the same as any other, no unusual animals or rice. Their restroom was out of order, same as too many others. We instead sought indoor plumbing refuge at a Popeye’s whose facade was disappointingly company-standard American. Anne and the boy (at lower left) were glad just to find cheap refreshments and a few minutes of A/C. 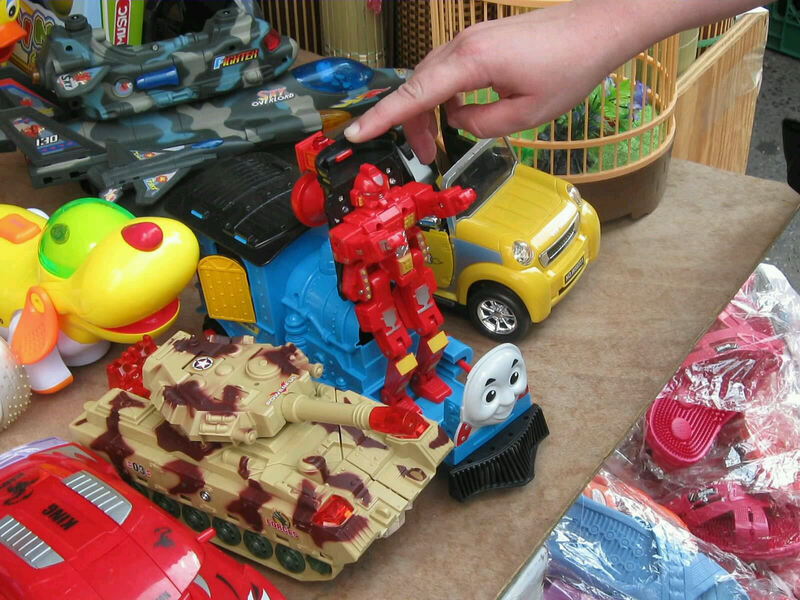 Thomas the Tank EngineBot was the only bootleg toy we could find in town. This broke the heart of my son, who had high hopes of swimming through a veritable sea of misspelled, misshapen Power Rangers knockoffs. Teaser image for Michael Bay’s proposed Shining Time Station reboot. Just add explosions and bikini babes. The country of Chinatown is vaguely U-shaped. Filling the gap between the stems is Little Italy. I plan to have an authentic Italian dinner there whenever we make our next NYC trip as empty nesters. It wasn’t happening this year because of a reason I can’t explain without throwing a certain finicky minor under a bus. 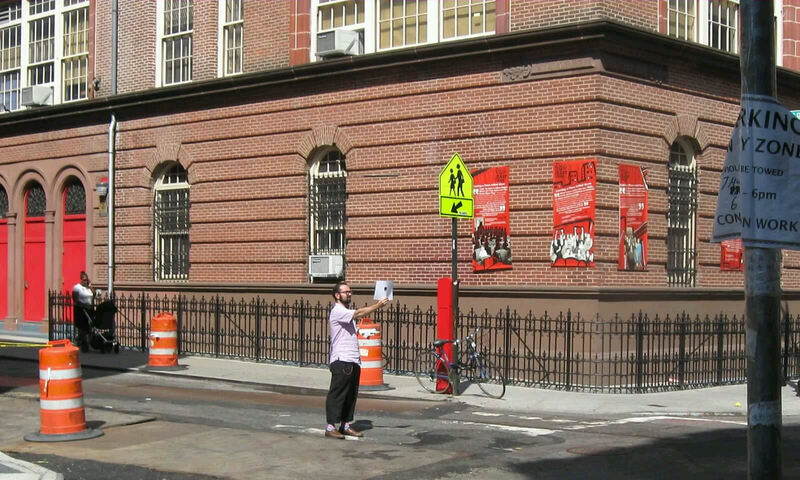 I never noticed that sign when we were there in person, not even when I snapped the pic. When I viewed this photo back home after vacation, then it stood magically revealed to me. This budding young filmmaker stood still like this till I snapped his pic, then scowled and scurried away. 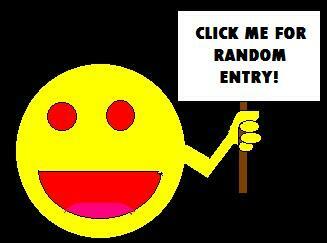 Fine, don’t let me make you famous or plug your big ambitious urban gangster epic. Next time don’t spend several motionless minutes blocking your shot in my presence. 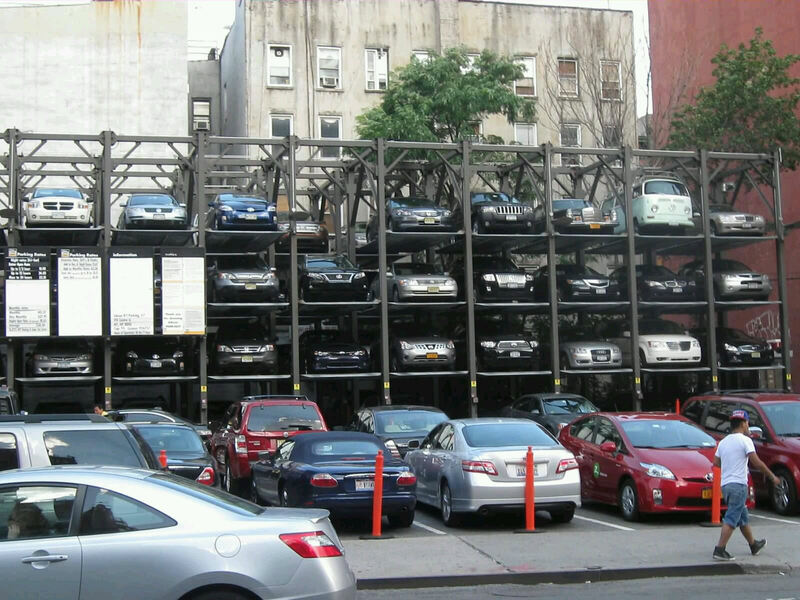 The shocking truth about Chinatown valet parking. We don’t have these in Indiana. Eight million stories in the naked city. All those vehicles gotta go somewhere. Stopping at every storefront would have taken days and possibly endangered our lives, particularly at one doorway guarded by a suited well-to-do giant who looked like an upper-class henchman straight out of a buddy-cop drama. We did peruse a DVD store and nab dubbed copies of Grave of the Fireflies and John Woo’s The Killer. A used video game store was happy to sell my son a copy of Dissidia Duodecim Final Fantasy (or whatever order those words should be in), but laughed when we asked about Final Fantasy VI, of which my son already unintentionally owns a few malfunctioning bootleg copies. At a bulk candy store we grabbed some pocky (hurray for known quantities! ), Hi-Chew (as seen at C2E2! ), and hawthorn wafers (later found to be not to anyone’s liking). We stopped for snacktime at the Chinatown Ice Cream Factory, where Anne gave mango papaya a thumbs-up, I was fine with a flavor called Zen Butter (peanut butter and sesame, nothing too outré), and my son randomly chose their taro variety, which he might have rethought if any of us had known taro is a kind of tuber. Anne and I took German in high school and regret we can offer no translation assistance here. 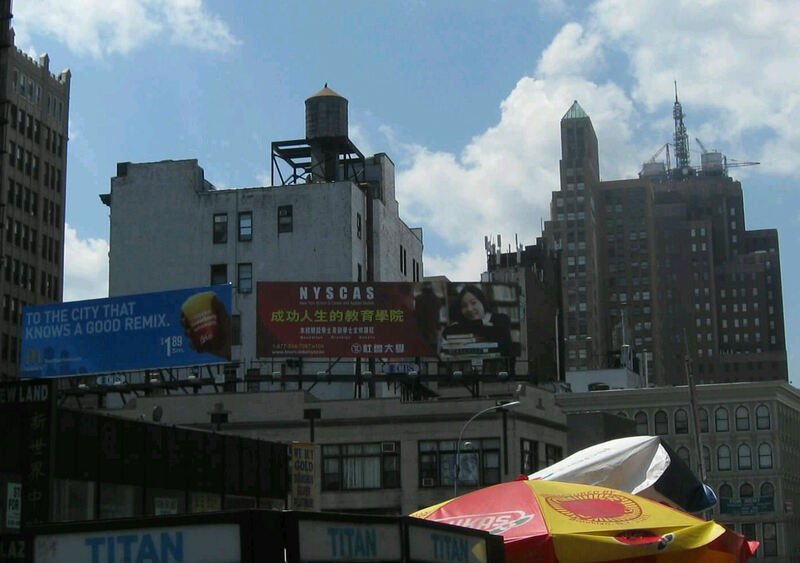 Let’s pretend that billboard is an ad for an Oscar-nominated film. The map I printed from the Internet kept us on the right track for most of our four-hour Chinatown self-guided tour. 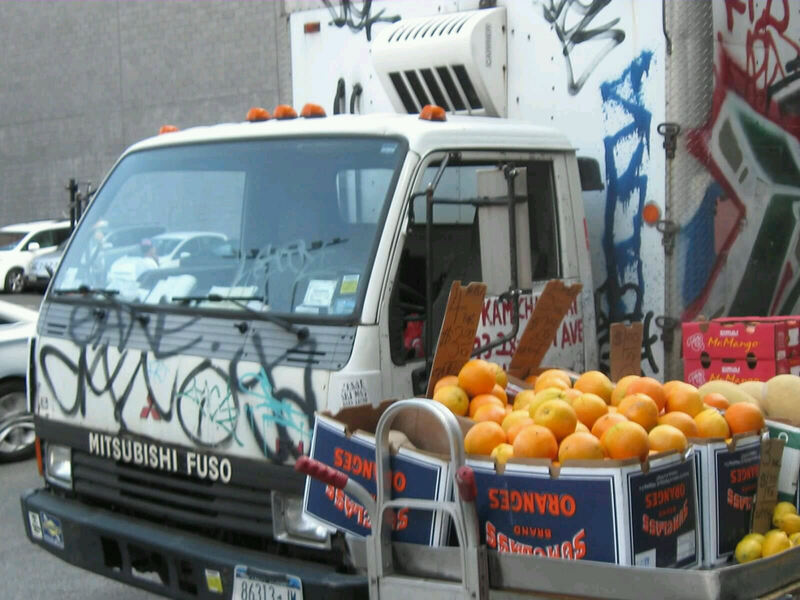 As we rounded the northeast boundary, we knew we were in danger of veering away from Chinatown and into the adjacent Lower East Side when even the moving vehicles were covered in graffiti. You know you’re dealing with pros when they can tag moving targets. The more we wandered, the more my son wanted to see. The longer we persisted, the more Anne began to wonder if Chinatown ever ended. Every time I pulled out the map to see how many more blocks were as yet unexplored, it seemed to grow three new blocks that hadn’t been there before. Even when we headed west toward Tribeca, new blocks sprang forth as if we were performing a live Inception into my son’s head. Chinatown wouldn’t. Stop. Sprawling. 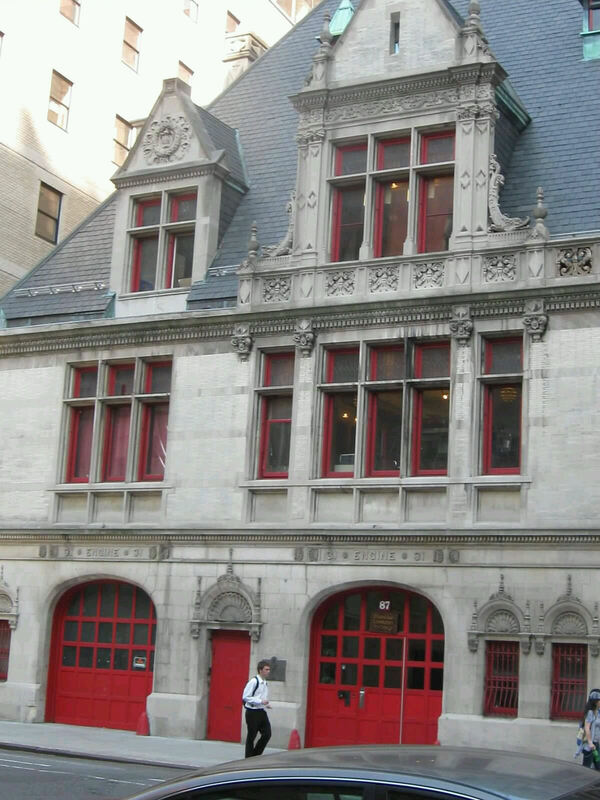 The nearest firehouse, in case of emergency. “Lack of exercise” didn’t qualify as such. I decided it was time to go when we all became unanimous in our limping. With the nearest subway entrance still several blocks away, I could see a look of murder in my wife’s lovely eyes. Knowing that my son lacks any sense of direction outside video game environments, I lied that we’d already seen the fifteen square miles newly arisen in front of us and had us make a beeline for the Grand Street station on the north end. By the time we finally got to sit down and let the Metro carry us away, my shoes were made of holes, as were everyone’s feet. 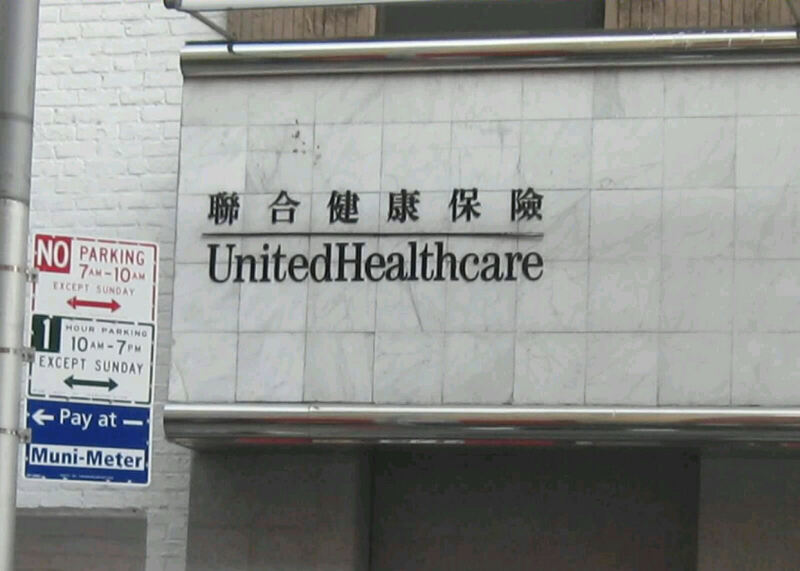 It would’ve been nice if UnitedHealthCare offered outpatient services for pedestrians risking heatstroke, but they’re just a giant health insurance company, which isn’t the same thing. To my family’s dismay, a transfer would be necessary to get us back to Port Authority, and one more meal would be required sometime before returning to the hotel. We got off at the Washington Square station and walked over to the Avenue of the Americas with the intent of having supper at someplace safe. The winner: a shabby all-American McDonald’s. It was doubtlessly the least challenging place to eat in whichever Village we were near, but nobody ever asks an oasis to be challenging. Several hundred restorative calories later, we switched subways and returned to the Port Authority, exiting on the north end of it, well away from the bus terminal on the south end. Because even more blocks of unnecessary walking were just what the doctor ordered. Better still, we arrived just in time for rush hour. Standing in the winding line to our gate for Lord knows how many minutes was yet another unexpected value-added aerobic bonus. When we finally boarded a bus back to Jersey, I hazily looked the other way when my son plopped right down in one of the handicapped seats up front. Back at the hotel room, Anne decided she needed even more foot pain and made a point of stubbing her toe really hard on the furniture. Pain or no pain, Chinatown was still my son’s favorite day of the week. I think he willfully forgot the day’s enervating first half. 1. This is the first 2011 entry posted since returning home from our 2016 sequel trip to NYC. It’s kind of amazing how little has changed there in five years. 2. My son wound up with such a large stack of fake, broken copies of Final Fantasy VI that the FFVI hunt killed his interest in eBay for all time. Eventually we got our hands on an authentic, functional copy, but it wasn’t worth all those heartbreaking ripoffs.